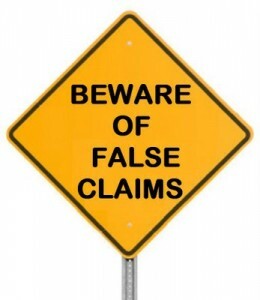 The diet health and fitness industry has it’s fair share of shady salesmen and dubious claims. In fact, it might be the worst offender for false claims and marketing ‘hope’ with no real science or evidence to back up the claims. The marketing in the diet and fitness and health industries are largely based around a fear based model. The basic pattern is to get you to become aware and afraid of something that you were never aware of or afraid of, work you up into a frenzy about it, then sell you a solution to remove the fear. This is the easy way out of marketing and sales. It’s also irresponsible and in many cases can cause serious psychological harm and turmoil for the unassuming customer. The problem stems from a blurring of the lines between what is a real health practitioner vs a pseudo practitioner. Who can you trust? Who has a read background and a real degree that qualifies them to give you real health advice and guidance? Should you be listening to the ‘fitness co-ordinator’ at the local gym? Or even worse the sales rep who is trying to hustle memberships and personal training? Or should you restrict your advice to your family physician? It’s hard to know where to draw the line and who to listen to and who to ignore. In todays uncensored podcast we’ll discuss these blurry lines and give an example of advice gone wrong. The industry is inherently irresponsible so the onus is on you to take responsibility for your health, and for what advice you choose to follow.